One of the most critical points of all high-occupancy buildings is the lining surface facilitating the flow of commuters, in particular where the stresses are higher than normal like in transportation. Materials need to pass the practical test with flying colors. 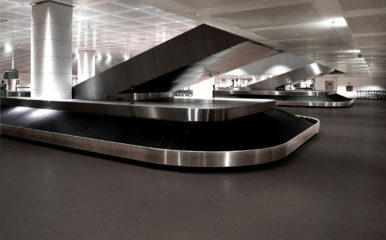 Rubber flooring is very resistant to wear and it is certainly suitable for heavy traffic environments. 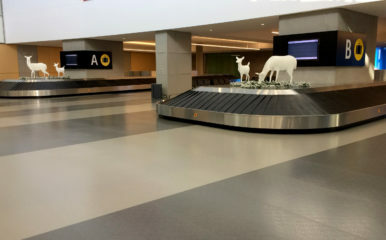 Counting on a good flooring is not a simple detail when people are trying to catch a flight or get to a meeting. 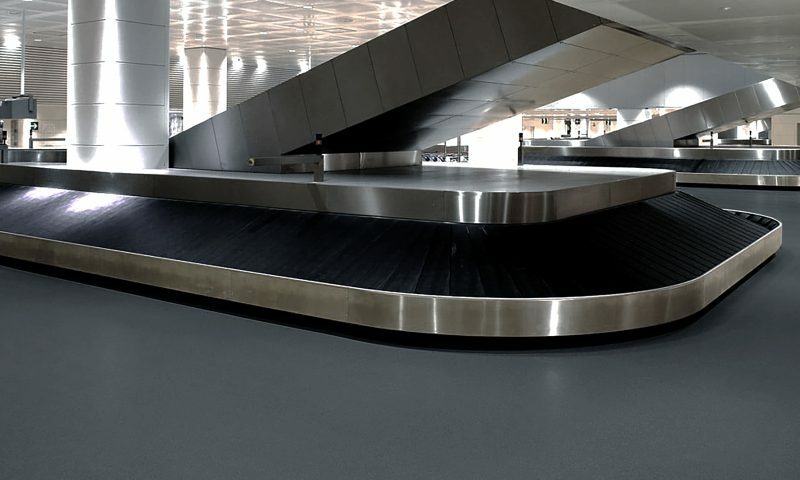 Mondo Contract Flooring offers a solution that is: stain resistant, anti-bacterial, slip-resistant, comfortable underfoot, easy to maintain, sound absorbing and environmentally friendly. Rubber is non-porous and can withstand chemicals and products which would stain most vinyls and linoleums. The vulcanization process of Mondo rubber incorporates natural chemicals that make the material anti-bacterial throughout. Furthermore, rubber eliminates concerns for bacteria growth. Rubber has outstanding slip resistance even when wet and its elasticity provides cushion under foot without being affected by heavy loads. 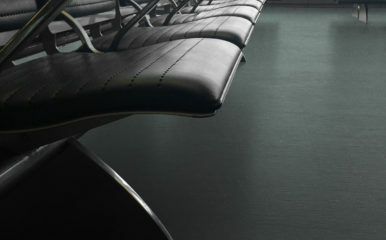 Noise is also greatly reduced, thanks to the sound absorption quality of our flooring. No coatings or waxes are required after installation and maintenance is low. Finally, our rubber is environmentally friendly and contains no heavy metals, chlorine or asbestos.